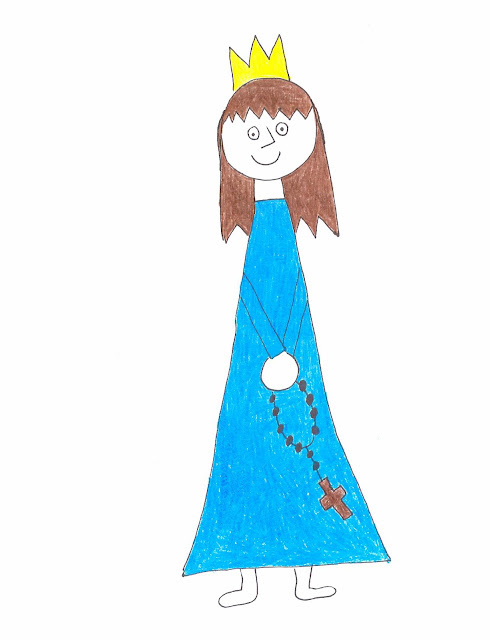 The Children’s Rosary® is a prayer group movement that began out of love for Our Lady and Her Son. The Children’s Rosary is a lay prayer movement for children begun on April 10, 2011 in one parish in an effort to begin rosary prayer groups composed of children and led by children in parishes. The Children’s Rosary now exists in parishes across the globe. Adults are always welcome and encouraged to come to the children’s rosary. These individuals are the special “guardian angels” of this movement. Through prayer of the Rosary, Our Lady will guide our young people, while at the same time sanctify families and parishes. If you cannot attend, but you would like The Children’s Rosary to pray for your intentions, please write them on a slip of paper and put your request in The Children’s Rosary Box in the Gathering Space of Saint Patrick Catholic Church. Your prayer intention will be placed before Our Lady and we will ask her to lift them up into her Son’s tender heart. The Children’s Rosary Group is currently on hiatus. Stay tuned for more information. I want to pray the Rosary!